Piping systems are subjected to highly demanding conditions, exposing all sections to vibrations, differential pressure and various other kinds of turbulences. To provide an adequate protection, as well as help maintain a proper flow, we prepared rubber expansion joints. They are used also in situations when piping system is being extended or modified. Solutions are easy-to-install, thanks to their ability to operate in any working position. 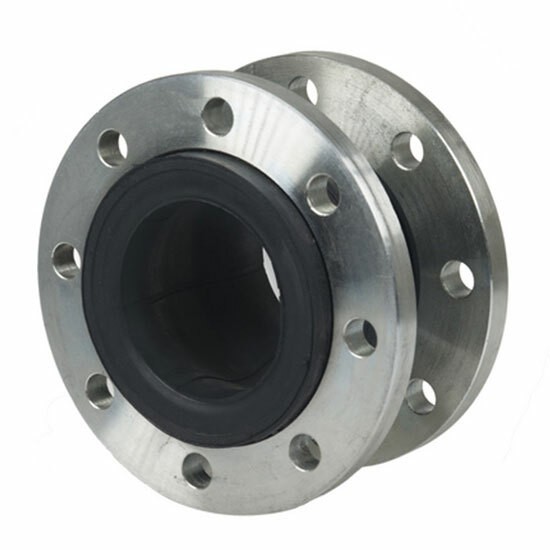 Each rubber expansion joint is made from galvanized carbon steel flanges, which provides resistance to demanding environmental conditions. It can be applied in systems working with industrial or neutral fluids, glycol, drinking water, compressed air. The product is a perfect safety measure for shipbuilding industry, as well as refrigeration, air conditioning and heating systems.